Suspected gunmen have kidnapped three policemen attached to Keta out station in Tsafe Local government area of Zamfara state. It was gathered that dozens of unidentified heavily armed men stormed the village and whisked away three officers. 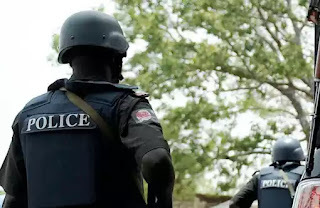 The public relations officer of the state police command DSP Muhammad Shehu, who confirmed the incident to newsmen on Tuesday, said the Divisional Police Officer of Tsafe LGA and other police officers were dispatched in search of the missing officers. He said the assailants had not called to make demand for ransom. Speaking on the incident, Governor Abdulaziz Yari expressed worries over the attacks on some communities in the state. He said the recent attacks by gunmen in Bakura, Maradun and some parts of Anka local Government Areas called for a total condemnation and would not be accepted.